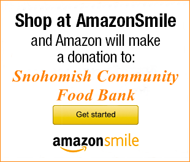 The Snohomish Cold Weather Shelter is up and running for the season. When temperatures drop below 34 degrees, their doors will be open 8:00pm-9:30pm for check-in at the Snohomish Evangelical Church 210 Ave. B, Snohomish. 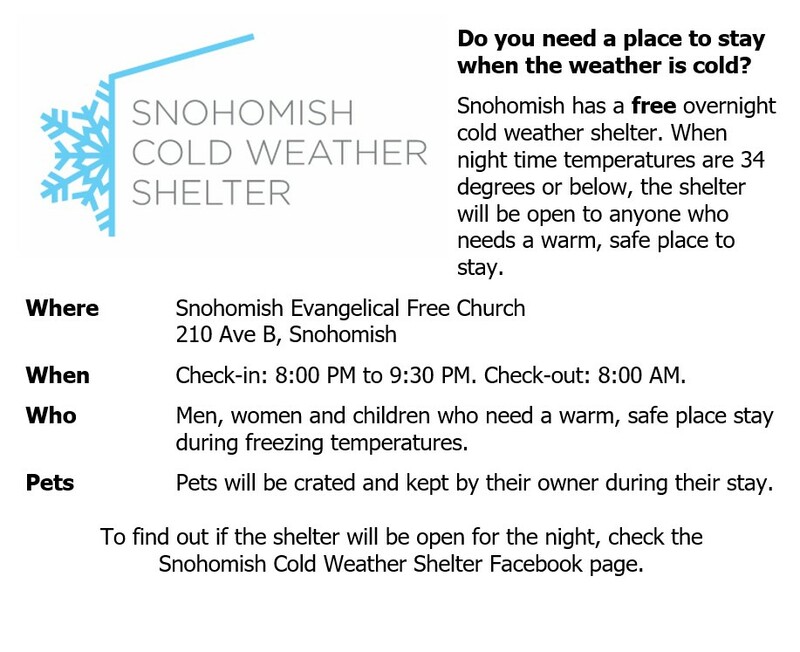 This free overnight shelter is a critical resource for our neighbors who need a warm, safe place to stay at night. 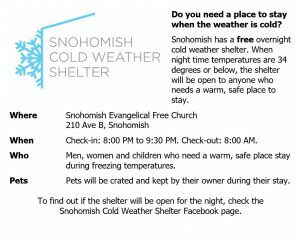 The Snohomish Cold Weather Shelter Facebook page is updated daily regarding that evening’s open or closed status.